Hypnosis and hypnotherapy really do work for smoking cessation, weight loss and many other psychological problems. Are you tired of failing to quit smoking, lose weight or overcome stress symptoms? It doesn’t have to be that way because hypnosis can help you! If you`re anything like the way i used to be, you start off with the best of intentions, but then after a few attempts to quit smoking, lose weight or to stop feeling stressed you fall by the wayside. As a result of seeing your friends successfully quitting smoking, slimming down and overcoming stress at work it actually makes you feel even worse. Instead of their success encouraging you to achieve your goals… the whole process ends up making you feel like a failure. The alternative most people in your situation have turned to recently is stop smoking tablets, weight loss supplements and prescription medication. However, these are not the right products to create successful change in your life. Have you ever met a genuine person who has used these products who has achieved the success which they desire? But here`s the good news! 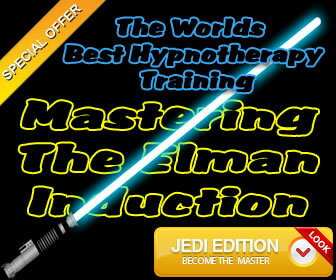 Now you can get hypnotized to stop smoking, stop weight gain and to overcome stressful situations. You can now say no to buying tablets, supplements and other medications online! Let me start by telling you a little more about myself. My name is Ian Smith and for over fourteen years i have been helping my clients to eliminate psychological and emotional issues. I was awarded a distinction in clinical hypnotherapy in 2005. And trust me when I say the one thing that has made all the difference in my hypnotherapy practice is the many thousands of hours studying hypnosis and hypnotherapy techniques. 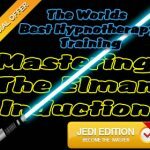 One thing which has helped me to achieve life changing results for my clients is learning how to use fast and effective hypnotic techniques. And I`m telling you – if you allow me to help you there is an extremely good chance that you will get the result you are looking for. Read my fantastic hypnotherapy reviews which have been posted online. You see, the thing that`s different about me compared to all the other hypnotherapists out there is the fact that i have adapted my hypnosis sessions to suit the clients personality. I also use the most advanced fast, effective hypnosis training techniques. I do not use scripted material. I visited Ian this week and would highly recommend his clinic and his services. From my initial email, Ian phoned me within hours and was able to assess my needs just from this conversation. His voice was kind, caring, gentle and empathetic and I was able to make an immediate decision that this was the therapist for me. The session was absolutely fascinating, I learnt so much about myself and about the techniques of self-hypnosis which were taught with ease and calmness. Follow up emails with written aids for carrying on my self-hypnosis have also given me confidence and greatly helped me to carry this on. I had spoken to another hypnotist prior to calling Ian and had spent 15 minutes listening to someone telling me about them. Ian on the other hand asked questions about me from the start and I felt he understood me. I went to see Ian to see if he could help me to overcome my fear of public speaking and it worked. This is something that has hindered me my whole life since school age when we had to read out loud in class. Ian taught me two techniques that made me feel instantly calm and relaxed about public speaking so that i could overcome my anxiety symptoms. I was desperate to lose weight, but couldn’t manage to lose even 1 lb. After seeing Ian I have now lost 14 lbs. My doctor told me that I was heading for a heart attack, stroke or diabetes if I didn’t lose weight. Since my appointment I have found it so easy to follow Ian’s instructions, and can honestly say that i am feeling so much better since I saw him. Thank you Ian, you have changed my life. Ian has totally changed my life! Due to an extreme wasp phobia I was confined to my home for the summer months, couldn’t have windows open and my anxiety would be at an all time high from March till October. It’s been two weeks since my session with Ian and I feel like I have my life back. I’ve been out every day and I’m sitting writing this with my doors and windows open. It sounds like such a small thing but for me it’s massive and I look forward to enjoying all of the things I’ve missed out on. I can’t thank or recommend Ian highly enough, I just wish I’d seen him 15 years ago! Ian made me feel very relaxed and that was a big thing for me as we both know each other. However, within a few minutes I was completely at ease and there is no doubt he has given me a huge help with my ornithophobia. I have been living with the fear of birds for over 40 years and after one session this appears to have gone. I have been a full time hypnotherapist for fourteen years. I have been able to help many of my clients to overcome their issues where other therapies and medication have failed to help. Do not just choose a therapist because they are close to where you live. Verified hypnotherapy reviews really do matter. If you opt for a hypnotist who offers home visits there is no way to verify their credentials. A home visit is also not the best place to conduct a hypnotherapy session because there are far too many things which can interrupt the therapy session. I offer a relaxing office environment in Royal Quays Community Centre in North Shields. Let`s be honest, this is an easy decision. You know a lot more about me now. Choosing Quays Clinic to help you will give you the confidence to overcome your problem! If you`re serious about using hypnosis for smoking and weight loss then you need to act now because maintaining a healthy body is important! Book your hypnosis appointment today and I`ll look forward to working with you!